On January 6, 2019 Georgia Tech opened up Crosland Tower, also known as Library East, after a two-year renovation. The renovation was part of the Price Gilbert Library Renewal Project, also called Library Next. Crosland Tower will serve as the campus library until 2020, at which point both Crosland and the Price Gilbert library, also called Library West, will both be opened for use together. Meanwhile, the new opening has garnered a lot of interest from students across campus, who have flocked to visit it due to its novelty. The Technique asked a few students about their views on the look and function of the newly opened library. Some people appreciated the change in aesthetics of Crosland Tower in comparison to the Price Gilbert library. The increased student capacity of Crosland Tower in comparison to the previous Price Gilbert library has been a sign of relief for a few students. This is true for students like Ishrat Arora, third-year ME. “One of the best benefits of this building is that it now prevents the overcrowding of CULC during midterm or finals season, affording all of us a quiet place to study,” Arora said. During peak study times, many students find that the CULC can be too noisy or crowded to accommodate their needs. Some students also feel that after the initial novelty of the library eventually wears off, they will find that it does not provide a drastic improvement compared to the previous library. The library does seem to have gained an upgrade in terms of energy efficiency, according to the architecture firm conducting these building renewals, Berkebile Nelson Immenschuh McDowell (BNIM). After the complete renovation, the population using both buildings will have nearly doubled — the 1,250 seats currently available will grow to 2,360 — yet the buildings’ total energy consumption will be reduced by about a third. The energy consumption per capita will be 80 percent less than what it is currently. 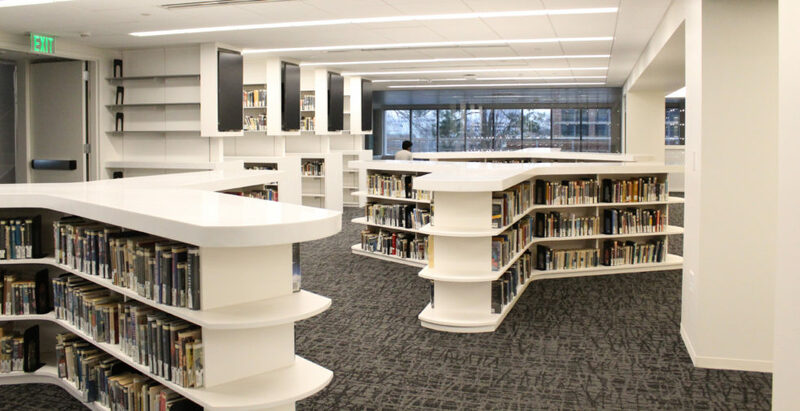 So far, it seems that the fresh design, ample quiet space and rooftop terrace of Library East will provide students with an appealing space to study and learn. Based on these opinions, it seems that many students believe the Georgia Tech Library has a bright future.